Karen Mosholder’s Bumbleberry Farms isn’t your average farm. It’s a buzzing bee farm located in the foothills of Pennsylvania’s Laurel Mountains, and it’s the source of some supremely delicious honey creams available at Sugarloaf Craft festivals. This unique spread tastes delicious with just about anything, whether it’s a spread on a freshly baked biscuit or a sweet glaze for fish or poultry. 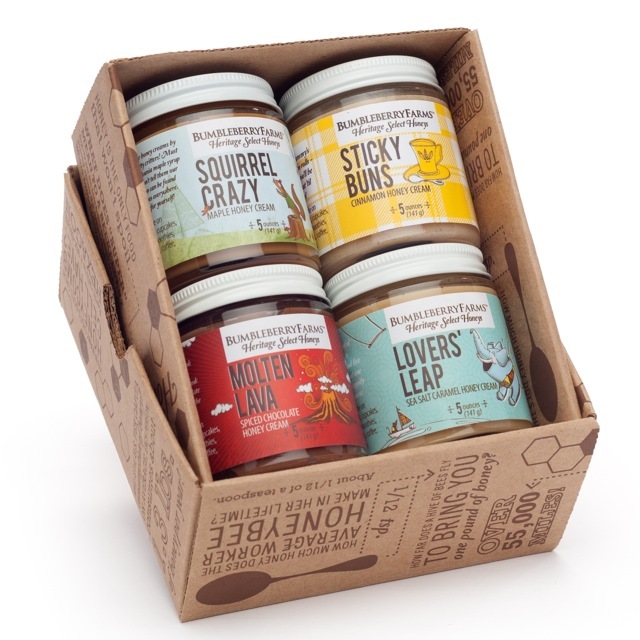 Plus, these tasty honey creams come in a variety of flavors, like sea salt caramel, spiced chocolate and maple syrup, giving you even more flavor variety when it comes to this specialty food. Bumbleberry Farms takes great care to ensure the health of the bees they source their honey from as well as the inclusion of only high-quality, clean ingredients in their foods. You’ll appreciate that respect for nature and quality with every bite of their tasty honey spreads. Check out Bumbleberry Farms and meet Mosholder at an upcoming Sugarloaf Craft Festival.